Cycling out of Poverty believes that the bicycle can make a difference in this world, in terms of health, poverty reduction, the environment, etc. Having access to a bicycle offers the opportunity to break the vicious circle of poverty. That is why our bicycle interventions focus on equipping students, health volunteers, farmers and small entrepreneurs with bicycles. To improve access to education, healthcare and income, a basic right for everyone. 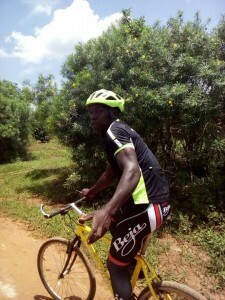 But from now on Cycling out of Poverty also focuses on cycling sports as a proven means for development and empowerment of young people and we launch the CooP-Africa Cycling Team. Cycling out of Poverty recently started with the first activity under the Uganda Cycling Academy project: the CooP-Africa Cycling Team. With this promises team we want to help young people gain self-confidence, cooperation and entrepreneurial skills and provide support with generating income. These skills and opportunities help them grow into a role model in the community and beyond. Cycling sports will also lead to the image improvement of the bicycle. Making more people see the bicycle more often as a real choice of transport for a variety of reasons. Youth unemployment rates in Jinja are huge and many families are struggling to survive. Because of HIV / AIDS, many young people live with other family members (extended families). This high unemployment, disrupted family composition and limited access to training and employment opportunities makes young people to live in a survival mode that often leads to risky behaviour, resulting in violence, alcoholism and boredom. The World Bank has calculated that 60% of the young people of the unemployed population in Uganda are young people under the age of 25. And that 72% must live on less than 2 dollars a day. In order to take care of the extended families, 30% of children aged between 5 and 14 are forced to work, creating a vicious circle that makes it impossible to escape from poverty. 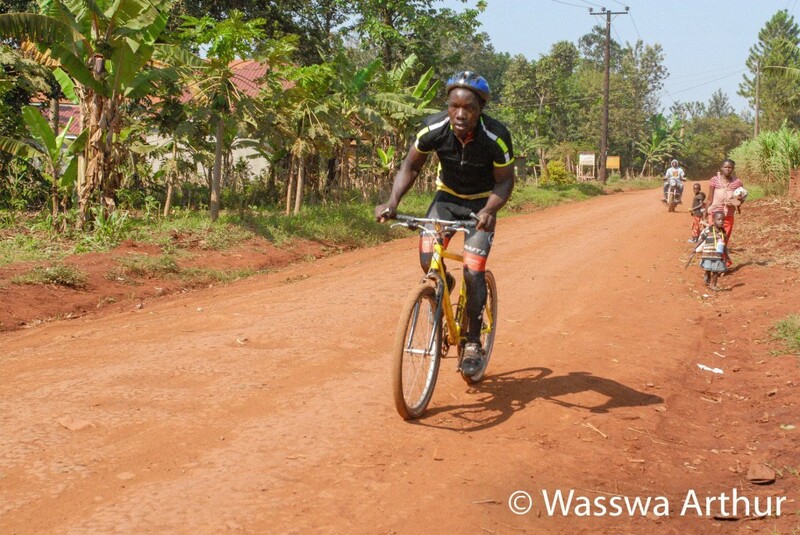 Why is bicycle sport a solution to break the vicious circle of poverty? Sport, for various reasons, is an important means of developing talents, skills and knowledge. Through sport you learn self-confidence, cooperation, discipline and leadership, but also tolerance and respect. All essential qualities to become a role model. Sport also fraternises and gives opportunities to talk openly about difficult topics such as domestic violence and HIV / Aids. And as we experience at the events and activities of Bikeventures, we see that sports(activities) also create a lot of employment. Not only for the participants but also as a supporting staff. And perhaps most importantly, sport is fun. Our goal is to get young people on the bike and make a difference in their lives by bike. Chasing the uphill dream! On one hand we do this in the Bike4School programme, in which we equip students with bicycles to improve access to education. On the other hand, we want to support the target group more with our expertise and network. The CooP-Africa Cycling Team, for example, will boost the talent development of young people. Promote the physical, social and emotional development of young people. The young people will also learn important entrepreneurial and life skills in the process and they receive information about all kinds of things. In this process we bring young people with problems to the top of road cycling, mountain biking and/or cyclo-cross (with the ultimate dream of ever being able to compete in UCI races). These young people are the athletes and the coaches / role models for the future. The CooP-Africa Cycling Team has just started its journey (it is still recruiting riders), but we can proudly say that BBB Cycling is our first sponsor of the team. With their support, young people ride uniformly with the beautiful BBB Cycling shirts and materials are donated for maintenance of the bicycles during training and competitions. But we appeal to companies, clubs and individuals who want to support the CooP-Africa Cycling Team. Very concretely, we are still looking for cycling bib shorts to complete the uniformity. We are also looking for volunteers who can coach, train and manage the team for at least 1 month, but preferably for a longer period. You can also facilitate a rider or the entire team to participate in races in East Africa or beyond. Or become the main sponsor of CooP-Africa Cycling Team with your company or club. Send an email to info@coop-africa.org if you want to give these boys and girls this opportunity. Together we will then look at the possibilities. 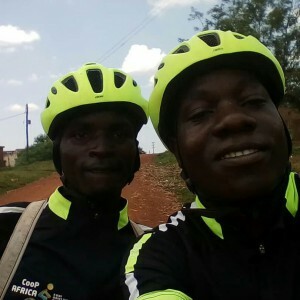 No Comments to "Cycling sport as a means for development and empowerment: the CooP-Africa Cycling Team"